Though I had to travel an hour (and sometimes longer depending on the tuk-tuk driver) to get to Save Our Sisters, the young ladies I trained there, and their supportive staff, were totally worth the trip. Here are some photos from some of the classes (note: per SOS request, faces of the girls are not shown, which is really unfortunate because the girls smiled – a lot – and were beautiful doing so. You are just going to have to take my word for it). 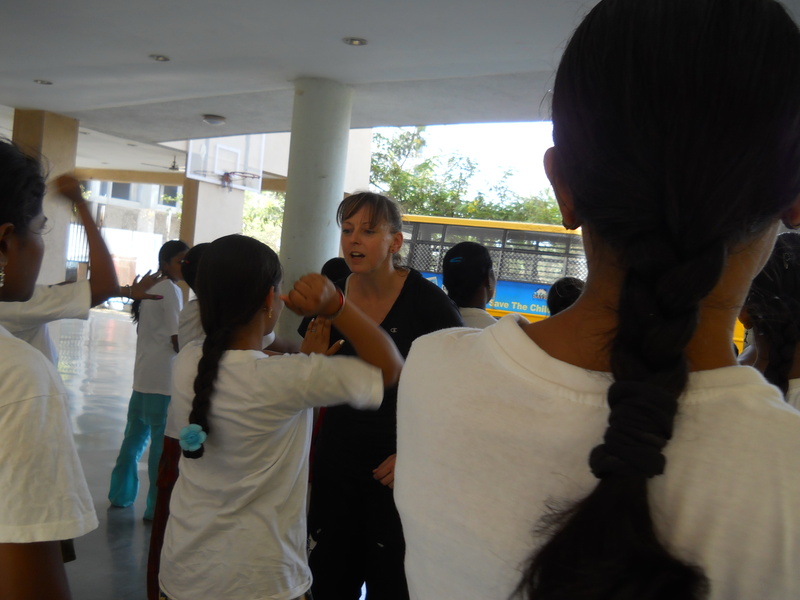 Learning palm strike (Mumbai, 2012). Knee strike. The young woman with the huge smile is Nilofar Tole, one of the girls’ Livelihood Coordinators. (Mumbai, 2012). 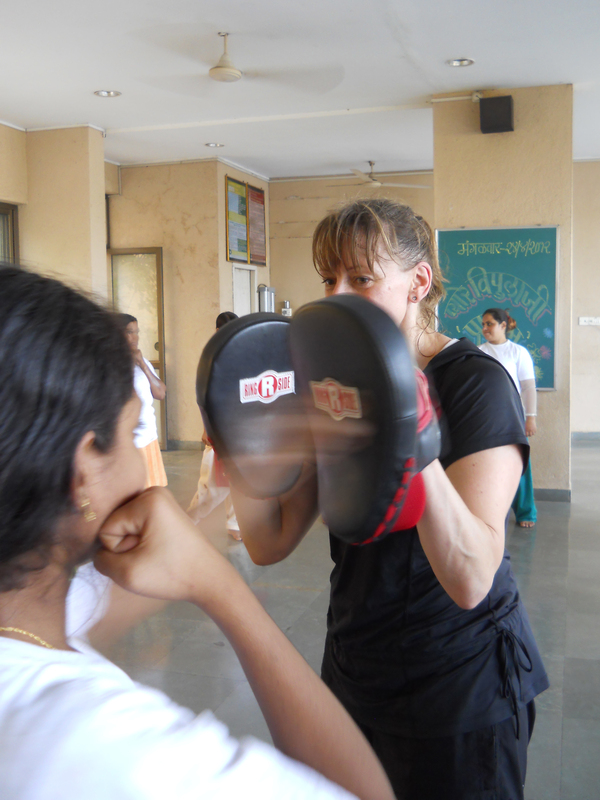 Hitting focus mits – the girls’ favorite thing to do (Mumbai, 2012). 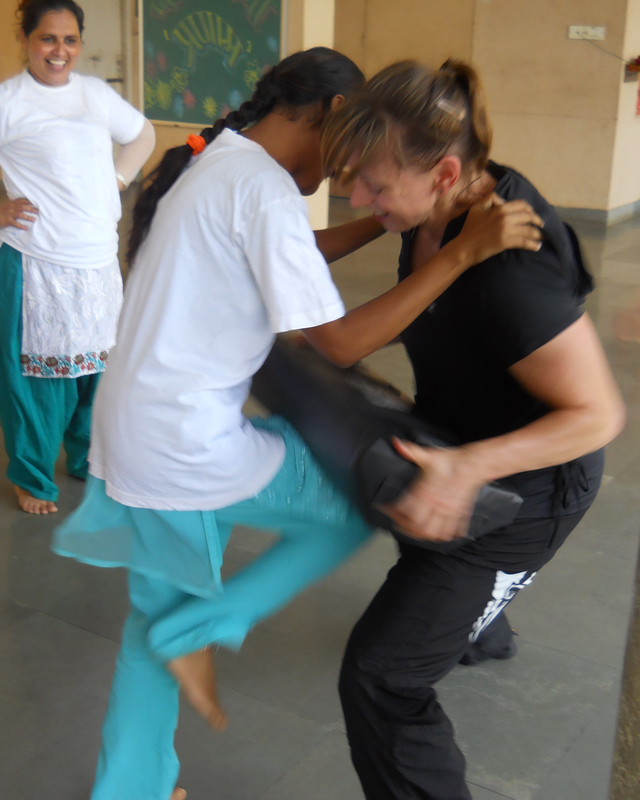 More knee strikes (with a smiling Savita, another of SOS’ dedicated staff). (Mubai, 2012). End of class (Mumbai, 2012). Love it, it feels so good to hit stuff and realize the strength that can be generated when you focus.